Mail-in rebates are offers from manufacturers where you'll receive a check after purchasing the specified item and sending in some completed paperwork. These can be free after mail-in rebates, which will get you a check for the full purchase amount, or partial mail-in rebates, where you'll get a specified amount back for your purchase. You can get mail-in rebates on almost any type of product but the most common items you'll find them for include pet items, electronics, household items, and food. Completing a mail-in rebate isn't complicated but you'll need to make sure that you include all the necessary items to get your rebate check. Follow the steps below for completing mail-in rebates and you'll be on your way to saving money with rebates. You can find mail-in rebates form just about anywhere if you keep your eyes open. Be sure to look in your Sunday coupon inserts, on displays at the store, and of course online. You can find a list of the current free after rebate deals that links to printable mail-in rebate forms that will help get your completely free items. Keep your eye out when your shopping too, you may see a product that has a rebate offer in a form of a tiny sticker attached to the product. After you've found a mail-in rebate you'd like to complete make sure you have the original rebate form as most times this is required to get your rebate check back. Before you run out and purchase the product that has a mail-in rebate, you'll want to read that rebate form very carefully to make sure that you purchase the right item. The rebate form will specify the brand, product name, size, and sometimes even fragrance or flavor of the product you need to buy to get the rebate. If you buy something that's even a little bit different than what's on the rebate form, you will not get your rebate. Be sure to keep your receipt when you buy the product because this is required for all rebates. After you've purchased the product you'll need to fill out the mail-in rebate. You'll need to provide your name, mailing address, and sometimes phone number and email address. Be sure to look over the rebate form and provide any other information they ask for. If you leave anything blank in​ the mail in rebate form then they will use that as an excuse to trash it. Everything you need to include in your envelope to get your rebate will be specified on the mail in rebate form. This usually includes the completed rebate form, a cash register receipt, and a UPC barcode. A cash register receipt is always to be included with your completed rebate form. Read on the form to find out whether it needs to be original or if a copy is okay. The rebate form will also tell you if you need to circle the product purchased, purchase price, or both. 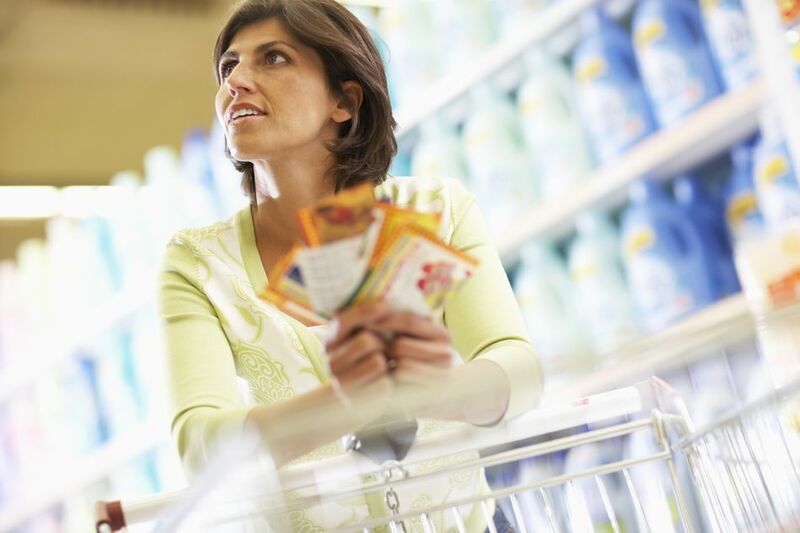 A UPC bar code may or may not need to be included to get your rebate. Refer to the rebate form for this information. Sometimes you'll need to cut out the original UPC code from the package, provide a copy of the UPC, or sometimes you won't need to include one at all. Double and triple check to make sure you have everything in your envelope before you submit your mail-in rebate. On the rebate form for each mail-in rebate will be some dates. These dates will tell you when the rebate starts, the date that you must have the product purchased by, and the date that the rebate needs to be either postmarked or received by. It's extremely important to follow all deadlines or you most likely will not receive your rebate. It's a good idea to keep track of all your mail-in rebates to make sure that you receive them. You can set up a spreadsheet to do this or you can use one of these printable mail-in rebate tracker forms to help you keep track. Besides a log, you might also want to keep copies of all the information you submitted to get your rebate. This is your proof that you completed the rebate. You can also find even more tips for making sure you get your rebate.